The Hibernate power option is a great way to keep everything where I left it when I’m going to be away from my PC for a long time (e.g. when going to bed or even on a vacation). Sometimes I’ll have several applications, a couple dozen browser tabs, and a bunch of Windows Explorer folders open when I’m in the middle of a project, and I don’t want to just close everything, shut down, and try to start over in a few days. I want to pick up right where I stopped. 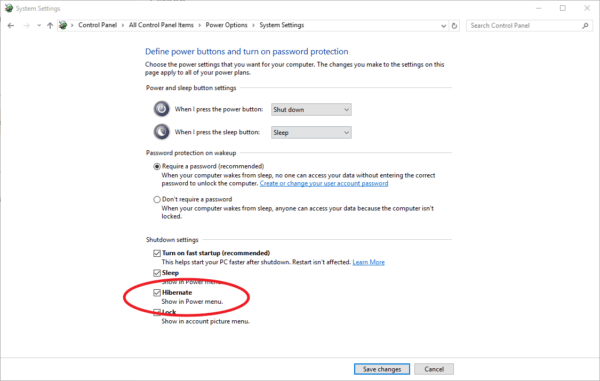 Sleep mode can work for that, but it is vulnerable to a power loss where Hibernate is not. Unfortunately I did not have this option visible in the Start Menu’s power options in Windows 10 after upgrading from Windows 7. Here’s how to bring it back. 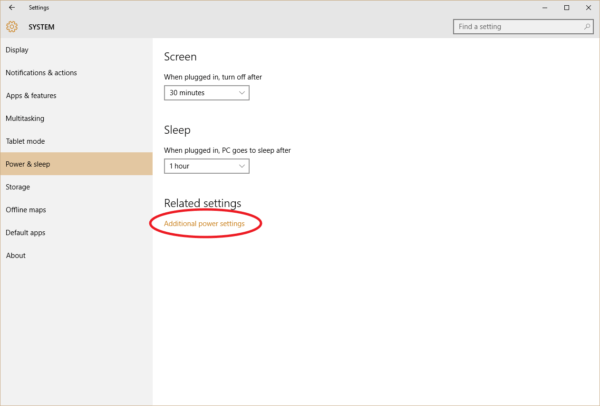 From the Start menu, open Settings > System > Power & sleep. 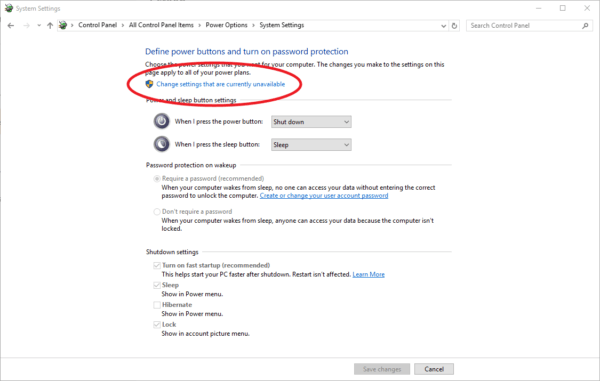 Click on the “Additional power settings” option. On the next screen select “Choose what the power buttons do” on the left. 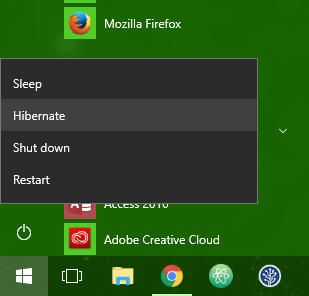 Now the “Hibernate” option will be available from the Start Menu.